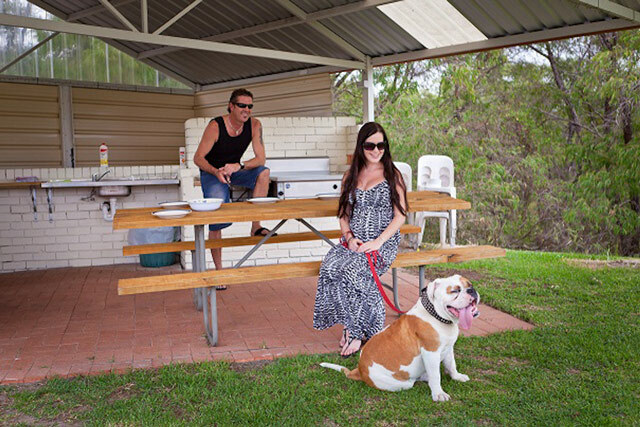 Emu Beach Chalets welcomes Guests with pets - Pet Fee's apply. To keep everyone around you happy however we do have several requirements that need to be met and adhered to. Please note: Biting or aggressive dogs are not allowed regardless of Muzzle guard or cage. In public areas leads and /or muzzles are to be used where appropriate and/or required by law. Pets are not allowed to be in the bedrooms or on the furniture at any time. Guests are financially responsible for all property damages and/or personal injuries resulting from their pet. Guests agree to indemnify and hold harmless the Emu Beach Chalets, its owners and operators from all liability and damage suffered as a result of the Guest’s pet. The Emu Beach Chalets reserves the right to charge guest’s account commensurate to the cost of such damages.